Date: The closing date for the submission of entries is Monday, 1 November 2010. 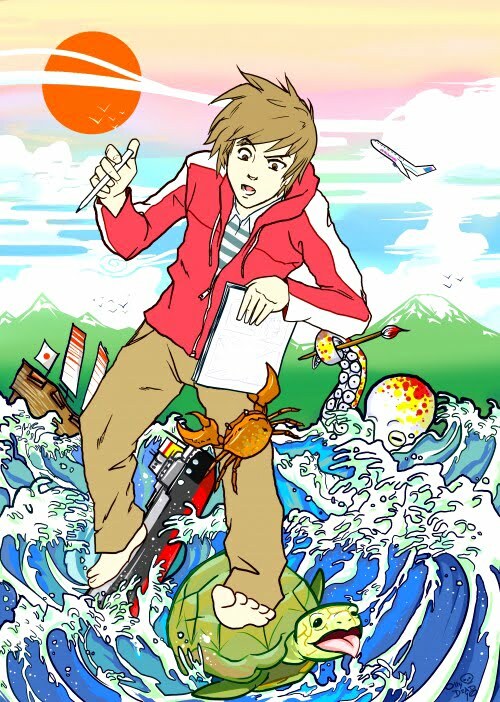 The Embassy of Japan is once again launching the major manga-writing competition, MANGA JIMAN 2010, with fantastic prizes and open to anyone fourteen (14) years of age or over. Third Prize is a superb digital camera from RICOH UK LtdRunners-up will receive and a selection of manga publications, available in the UK from various UK manga publishers amongst others prizes. This competition is open to all UK residents. All creations should be original and between six (6) to eight (8) A4-sized pages in length and although entrants are free to choose their own theme, restrictions do apply, and importantly the manga should in some way make reference to nami or ‘wave’. The closing date for the submission of entries is Monday, 1 November 2010. Should you wish to enter, please read the full MANGA JIMAN COMPETITION 2010 RULES & REGULATIONS (www.uk.emb-japan.go.uk/en/event/manga/Manga_jiman_2010_rules.pdf PDF file) and then carefully fill out and submit the official entry form (http://www.uk.emb-japan.go.jp/en/event/manga/Manga_jiman_2010_apply.pdf PDF file) along with your entry by post or in person to Manga Jiman 2010 Competition, JICC, Embassy of Japan, 101-104 Piccadilly, London W1J 7JT.